Today, contemporary rugs can be hand or machine made in graphic and contemporary designs which are produced by a number of methods. Although those by 'name' designers and one-offs commissioned for hand-weavers are obviously expensive, cheaper massed produced versions can be very reasonable. 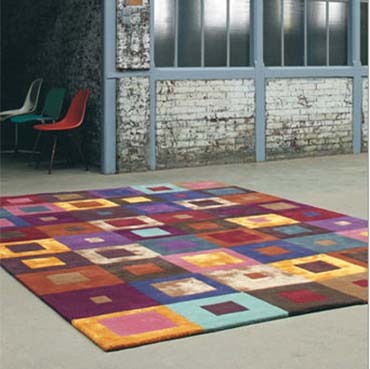 Contemporary or modern rugs are a result of the creative genius of the one designing it. The design concepts can be something copied from upholstery fabric or wallpaper, or original art conceived by someone's imagination. 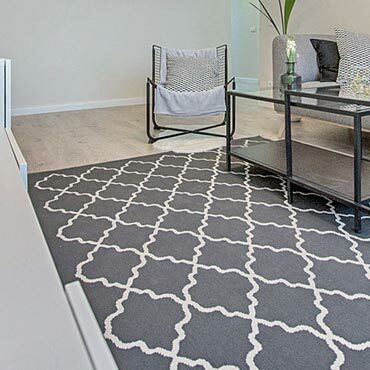 The freedom that one has in concept and design criteria, makes these rugs a very attractive choice for interior decorators and designers alike. Only limited by ones own imagination, the sky literally becomes the limit when considering a contemporary rug as an option in design for that special room. The artisan who specializes in making these rugs, is as much an artist as the one designing it. Many times, they are one in the same person. Of course we are discussing the hand-made modern rugs at this time. It's one thing to create a design to make into a rug, and quite another to determine the actual carpet to be used in it's construction. 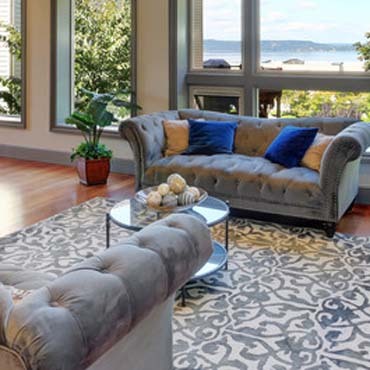 For instance, either all one type of carpet can be used or you can incorporate different carpet styles. If one particular style is used, the different colors being used in the overall design are generally separated by carving a bevel where the colors meet to incorporate dimension in the overall design and look of the rug. Although the process of carving is not necessary when making contemporary rugs, it certainly provides for a more 'tailored' appearance to the overall look of the rug and allows each color to stand out and be noticed more. When different styles are used such as a cut-pile Saxony and a Berber design, more dimension and style can be achieved. The overall product acquires a more custom look overall, and the modern rug now takes on a life of it's own. Because of the intricate nature of working with different and varied carpet styles as well as the care needed to 'fuse' these diverse styles into one beautiful masterpiece, they are much more pricy than their machine made counterparts. Keep in mind though, you are creating a one-of-a-kind piece of art that will be custom fitted to your design needs. That in itself should be worth the investment. 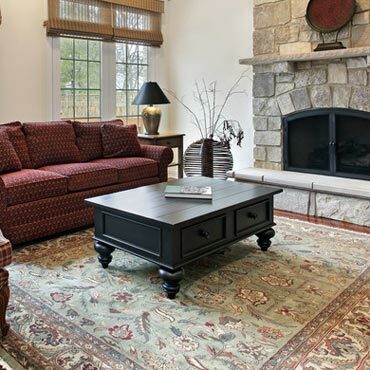 Since 1866, Masland insists that its rugs maintain the highest quality. All products are produced in Italy and stocked in South Carolina. Radici USA does some finishing of area rugs (cutting and surging of runner) to accommodate our growing customer base. Nourison is the world's largest importer and manufacturer of fine handmade oriental rugs.